A Developer's Dream in Town! For the ambitious investor Vista Bahia offers a developer’s dream opportunity with endless possibilities. 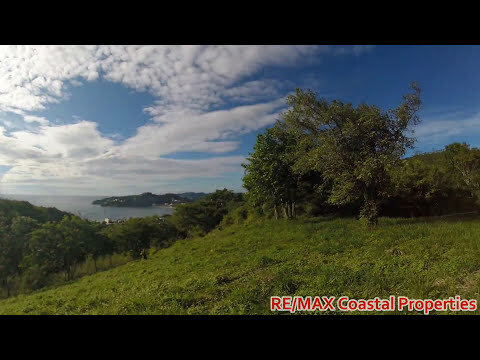 This 7,233 sq mts / 10,352 v2 / 1.79 Acres development property has all of the most desired attributes: walking distance to town, views of the bay & ocean, and privacy – with electricity installed. A two minute drive from the center of town, this property sits nestled in the southern mountains surrounding the town of San Juan del Sur. The high altitude provides breath taking views of the ocean, town, valleys, and mountains allowing you to feel like you are on top of the world. The possibilities are endless for residential or commercial projects: individual private homes, a gated community development, condos, town homes, hotel, retreat, individual lots, etc – the only limit for this property is one’s imagination. With nearly 2 acres of land, paved access directly outside the property, installed electric, and a road that wraps around the property, an investor can hit the ground running knowing that much of the hard work has already been done. San Juan del Sur continues to grow as one of the top tourist destinations in Central America and is receiving great press from Forbes, The New York Times, and The Wall Street Journal. This developer’s dream is a rare opportunity to own your piece of an exploding beach town and build the project of your dreams.